Netanyahu and his government are ‘weak, feeble, boisterous and radical,’ says former Israeli prime minister Ehud Barak, according to Israeli daily Haaretz. In a long, detailed speech, he sharply attacked Prime Minister Benjamin Netanyahu and called him and his current government “weak, feeble, boisterous and radical.” Barak said that Netanyahu and his government failed in guaranteeing security to Israeli residents and undermining the fabric of Israeli democracy. 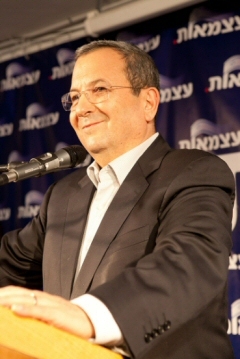 Barak was leader of the Labor Party until January of 2011. He previously held the posts of Minister of Defense and Deputy Prime Minister under Benjamin Netanyahu, from 2009 to 2013. According to the Times of Israel, he accused Netanyahu, Thursday night, of lying about his desire for Palestinian statehood, cheapening the Holocaust by ‘Hitlerizing’ every threat. He blasted Israel’s current government , saying it was putting the country on the path to becoming an “apartheid state,” and should be brought down if it fails to get back on track. He was defeated by Likud leader Ariel Sharon, in 2001, subsequently resigning as Labor leader, and from the Knesset. He left Israel to work as a senior advisor with United States-based Electronic Data Systems, and partnered with a private equity company focused on “security-related” work. He is jointly the most highly decorated soldier in Israel’s history, according to Wikipedia, and holds a master’s degree, in engineering-economic systems, from Stanford University. A committee of the Israeli Knesset is discussing the extension, for another year, of a 13-year old law that has been extended each year as a ‘temporary’ measure. The law prohibits nearly 10,000 Palestinian residents of Israel, including 247 children, from having a legal residency status. 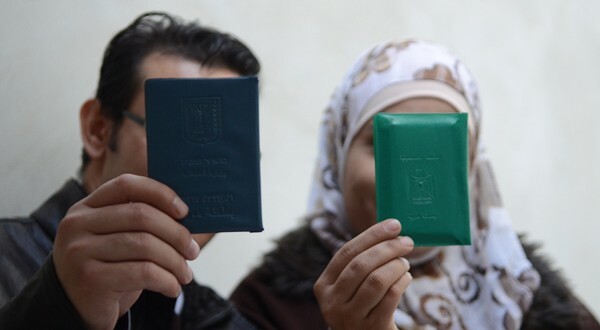 The Citizenship and Entry into Israel Law (Temporary Order) passed in 2003, and renewed every year since, prevents Palestinian families from living together if one spouse is from present-day Israel and the other is from the West Bank. Numerous human rights organizations, including Human Rights Watch, have declared the law discriminatory. Despite challenges from Israeli human rights groups, including a legal challenge that made it to the Israeli High Court in 2006, the Court decided to allow the law to continue to be enforced, stripping thousands of Palestinians of legal residency in their homes. According to a report by B’Tselem earlier this year, the Israeli laws dividing families date back to the creation of the state of Israel in 1948. In 1993, a law was passed confirming this discrimination and separation. Families affected by this law, unable to obtain residency permits, “were compelled to settle for short, broken visits and repeatedly face separation between visits. These visits depended on the Israeli authorities’ granting a visitor’s permit, which was generally given during the summer for a period of up to three months. When the permit expired, the visitor was required to leave the Occupied Territories. Children who entered with their visiting parent were required to leave with them. Once the visitor left, he or she had to wait at least three months before being allowed to visit again. In many instances, the authorities did not approve a new visitor’s permit even after the waiting period had passed. An Israeli attorney who represents some of the families affected by this law, Adi Lustigman, was quoted in the Israeli daily Ha’aretz as saying, “It means that in the same family if there’s a child who doesn’t feel well they take him to the health clinic, but if his sibling doesn’t feel well they can’t take him because they fear having to pay thousands of shekels if he needs to be hospitalized”. The children who are living without legal status face many other problems, including inability to get an education, harassment by police and military at checkpoints, temporary and longer-term separation from parents, and the continuous stress of living without knowing if their residency will be revoked at any time. The Knesset committee considering the extension of the resolution made the claim that ’18 Palestinians who carried out attacks against Israelis over the last 15 years had temporary residency permits’, but that claim has been disputed, and legal experts in Israel say there is no actual data to confirm it. In the case challenging the law in 2006, Human Rights Watch said that the government failed to explain why other more targeted security measures, applied on a case-by-case basis, could not adequately address this threat without stripping thousands of families of their rights on the basis of their nationality. PLC: Choosing Israel for the UN legal committee a "major crime"
The Palestinian Legislative Council (PLC) has strongly denounced the election of Israel's envoy to the UN to head the legal committee of the international body and described it as a "major crime." 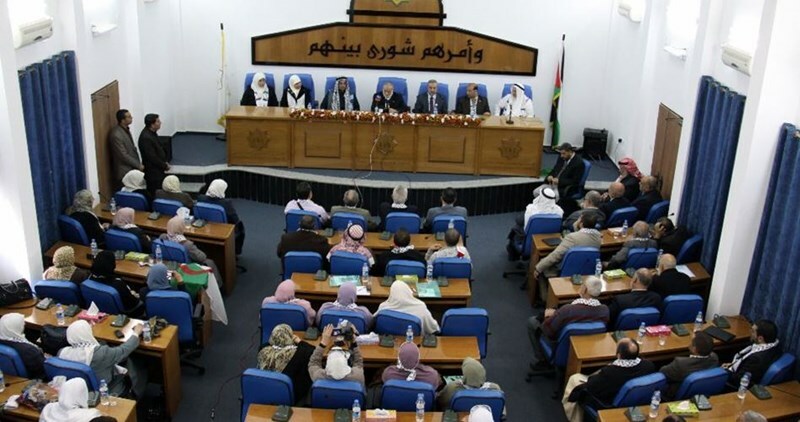 "This step is a huge crime against the Palestinian people, who have suffered from calamities, woes and adversities at the hands of the Zionist occupation over the past decades," Ahmed Bahar, first deputy speaker of the PLC, stated on Wednesday. Bahar also described the step as "a major crime against all the nations who have been exposed to the Zionist occupation and aggression, and a disaster befalling the international law, the international humanitarian law, and all international conventions that protect the peoples' rights, the principles of freedom and democracy, and the moral and humanitarian values." The lawmaker held the Western European and Others Groups and UN secretary-general Ban Ki-moon fully responsible for the consequences of allowing the Israeli occupation state to have such serious influence at the international level. He urged all pro-Palestine parliaments and countries as well as the world's free people to pressure the UN to backtrack on this irresponsible step and work on having Israel's membership frozen in all UN institutions. Although Israel continues to breach the international law and countless UN resolutions, and commits blatant crimes against the Palestinians, its envoy Danon was elected chairman of the UN legal committee on Monday. This legal committee, also called the sixth committee, deals with all of the UN’s sensitive issues regarding international law, including the status of the additional protocols of the Geneva Conventions, and the anti-terror file. 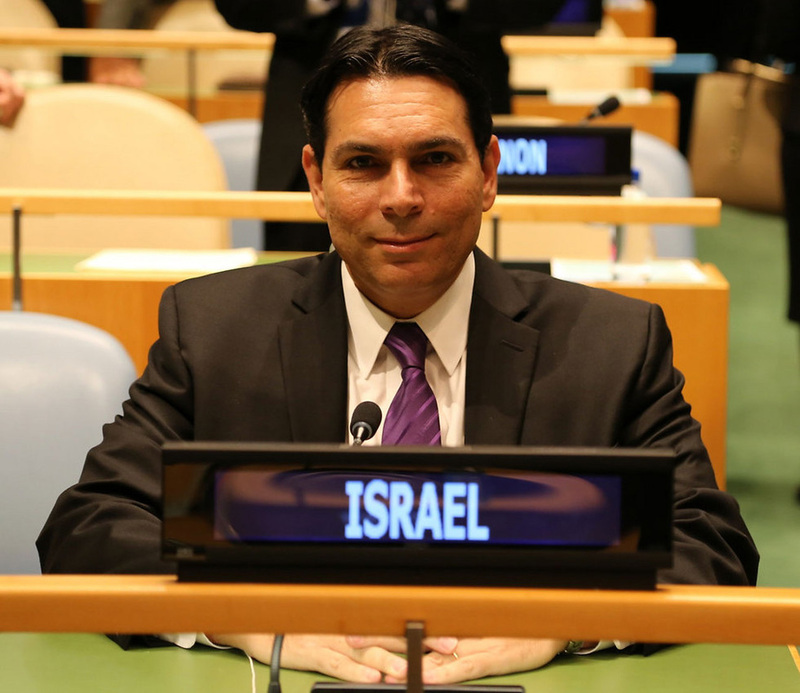 An Israeli ambassador to the UN will head a UN committee for the first time since joining the organization in 1949, Danon was elected after a diplomatic campaign including opposition by Muslim member-states. After months of behind-the-scenes diplomatic struggles, Israel’s Ambassador to the United Nations Danny Danon was elected to head the UN Legal Committee (officially named the Sixth Committee) on Monday. The committee deals with sensitive topics including fighting global terrorism. 109 nations voted for Danon (the process only included votes cast for a candidate for the position, and did not include ‘nay’ votes). Palestinian representative Dr. Riyad H. Mansour worked to convince voting representatives to not support Danon until the last second. Iran’s delegation was also active in trying to stop the appointment, sending representatives a letter on the matter. The Israeli victory came after a long, complex diplomatic struggle by Israeli representatives worldwide .Their main opponents were the Arab nations and the Organization of Islamic Cooperation (OIC). Ambassador Danon’s candidacy received widespread backing from many member-states, led by the United States and the Europeans. Prior to today’s appointment, Ambassador Danon was first elected as the Western European and Others (WEOG) regional group’s candidate for the position. Then, following the objection by the Arab Group to approve the nomination, the General Assembly proceeded to elect Ambassador Danon by a secret ballot. All 193 UN member-states were eligible to take part in today’s election. After his election, Ambassador Danon was congratulated by colleagues from around the world. 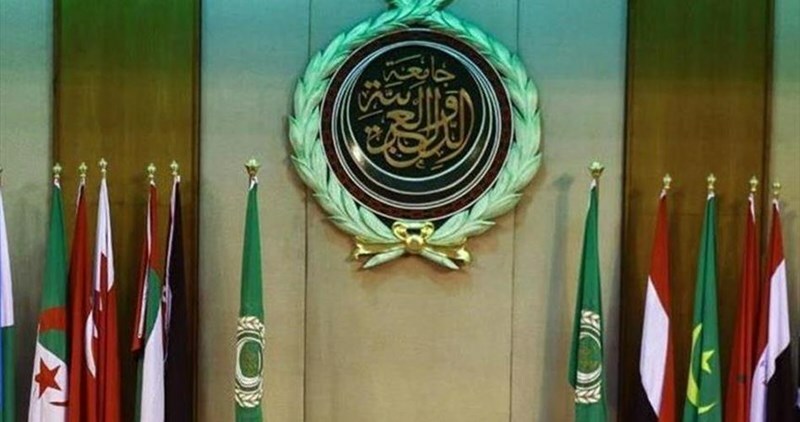 The Arab League rejected the nomination of Israel to take the presidency of the UN General Assembly Sixth Counter-Terrorism Committee, which is concerned with combating terrorism. The Arab League’s Secretary General, Nabil al-Arabi, notified the envoys and representatives of Arab states with the Arab position. Al-Arabi said, in a statement on Sunday, that Israel carries out illegal actions including the establishment of the Separation Wall, violation of Palestinians’ rights, and arresting civilians. He called the nomination of Israel for the presidency of the UN Counter-Terrorism Committee a “big disaster for the UN”. According to the protocol, the UN Committee's presidency is usually taken by alternation among groups and this year is the turn of the group of Western Europe which agreed on nominating Israel. Israeli Prime Minister Benjamin Netanyahu and Russian President Vladimir Putin meet in the Russian capital Moscow on Tuesday. On the agenda are bilateral relations in various sectors, including trade and security. Russian is the third-most spoken language in Israel. The largest community of Israeli expatriates in Europe is located in Moscow. The visit of Israeli Prime Minister Benjamin Netanyahu to Moscow on Tuesday coincides with the 25th anniversary since the restoration of diplomatic relations between the two countries. The meeting between Putin and Netanyahu is the second over a period of a month and a half. The last meeting between Putin and Netanyahu in Moscow was held on April 21, 2016. 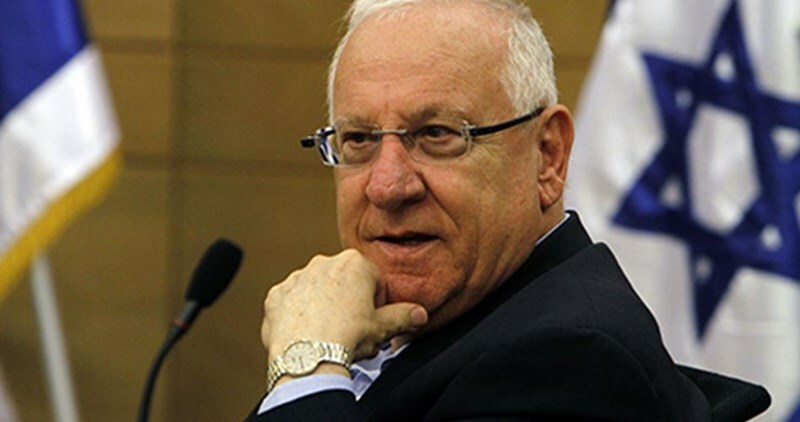 The meeting on Tuesday will largely be used to follow-up on and finalize agreements and plans that have been reached during Netanyahu’s previous visit as well as during the recent visit of Israeli President Rivlin. Kremlin Press Secretary Dmitry Pescov noted earlier that Putin and Netanyahu also would have a detailed exchange of opinion about regional issues pertaining the Middle East and international terrorism. Pescov also noted that both countries had a big potential for international trade as well as for cooperation in security and international politics. The Russian language is the third-most spoken language in Israel and hundreds of thousands of Israeli’s are originally from Russia. Russian immigrants have been a significant factor in Israel’s drastic expansion of illegal settlements in Palestine. Often overlooked, there is a considerable Israeli lobby present in the Russian capital. As of 2014 some 80,000 Israeli citizens, almost all of the native Russian speakers were living in Moscow. Often omitted, even by progressive Palestinian factions, is the fact that Russia, contrary to the European Union, does not recommend the labeling of products from illegal Israeli settlements. Israel plans to expand its export of agricultural products including beef and poultry to Russia. 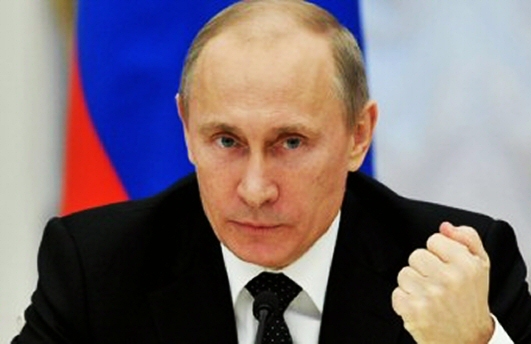 Russian has agreed to increased Israeli imports provided that the beef and poultry passes veterinary and other standards. No mentioning of a restriction pertaining products from illegal settlements. Israel and Russia have also been discussing a free trade agreement between Israel and the Eurasian Economic Union (EEU). Russia and Israel are cooperating in the defense sector. Cooperation included among others, the 2004 tripartite agreement between Israel, Russia and India where Israel supplied the $1.1 billion EL/W-2090 radar system to the Indian Air Force, with the radar installed on a Russian Ilyushin Il-76 platform. Russia has also been purchasing Israeli drones, including the Bird Eye-400 as well as the I-View Mk150 and Searcher Mk2 UAVs. In October 2014 Russia purchased drones for an additional $400 million from Israel Aerospace Industries. The drones are to be assembled in Russia. In September 2015 the Russian Army purchased another $300 million package of drones from Israel, its fourth purchase of Israeli drones. It is noteworthy that Israeli drones play a significant role in policing the illegally occupied Palestinian territories and in illegal air strikes against targets in Palestine’s coastal enclave, the Gaza Strip. Putin and Netanyahu will also discuss the situation in Syria and terrorism. Independent analysts have repeatedly stressed that Moscow, just like other permanent UN Security Council members, has failed to demand that Israel ends its illegal annexation of the Syrian Golan Heights. A reservists unit was training at a military base in the south when a bag full of hi-tech equipment was stolen; theft points to a growing trend of southern residents stealing military equipment. An army bag containing binoculars, night vision goggles, and advanced electronic arms were stolen from a reservists unit at Tzeilim base in the south in the middle of the week. The base commander decided to prosecute the unit officer and soldiers who were training in light of the fact that the weapons stolen are classified as "weapons of crucial importance to the IDF." Theft of military property is a phenomenon which has been increasing in recent years, and which neither the IDF nor the police have found a solution for. The IDF Military Police opened an investigation into the incident, and according to the evidence, a worrying picture has emerged. Residents of the western Negev – almost daily – steal military property from the various units who train in the area. According to the evidence, while the soldiers were unloading their gear from the truck, a man on an ATV approached them, waited until the soldiers had their backs turned to him, drove up, stole a bag, and ran away – all in broad daylight. The soldiers gave chase, but the man on the ATV got away. Additionally, according to various reserve officers and logistics personnel at the base, this trend has only been increasing over the past year, with 50 caliber heavy machine guns affixed armored personnel carriers (APC) and tanks parked on the edge of the base. Following this worrying phenomenon which has caused considerable damage to the IDF and endangers the security of Israeli citizens, the investigation further revealed that many of these weapons are smuggled into Egypt. Therefore, a plan to upgrade the defenses on the base costing millions of shekels has been approved. "Despite the cooperation between the IDF and the police on this issue, the thieves are continuing to steal from the base around the clock. We are beginning to feel helpless," said a reserve officer who is currently training on Tzeilim. "A majority of the soliders and officers have heard about what's going on and are familiar with the phenomenon, and are really focusing their efforts on making sure that military equipment doesn't get stolen, but on the other hand, soldiers are prohibited from carrying out the rules of engagement procedure on thieves, and the thieves know this." The IDF Spokesperson's unit said in response "the issue of military equipment being stolen is know and is being dealt with by law enforcement officials. 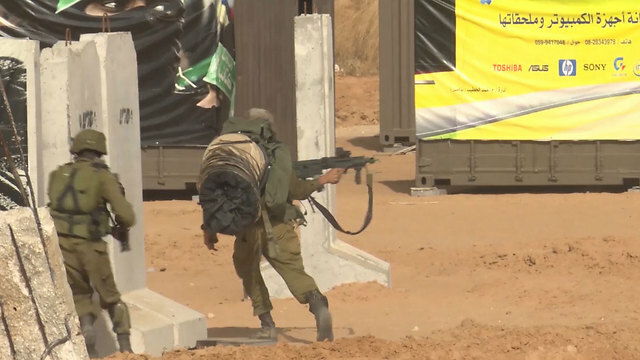 In the IDF in general and bases in the area in particular are carrying out extensive operations to prevent weapons thefts, including advancing overall efforts in security, prevention, and enforcement. This particular case is being investigated by the IDF Investigations Unit."